In this extraordinarily rare memoir by an active-duty jumper, Jason Ramos takes listeners into his exhilarating and dangerous world, explores smokejumping's remarkable history, and explains why their services are more essential than ever before. For fans of Unbroken, the remarkable, untold story of World War II American Air Force turret-gunner Staff Sergeant Arthur Meyerowitz, who was shot down over Nazi-occupied France and evaded Gestapo pursuers for more than six months before escaping to freedom. Bronx-born top turret-gunner Arthur Meyerowitz was on his second mission when he was shot down in 1943. He was one of only two men on the B-24 Liberator known as Harmful Lil Armful who escaped death or immediate capture on the ground. After fleeing the wreck, Arthur knocked on the door of an isolated farmhouse, whose owners hastily took him in. Fortunately, his hosts not only despised the Nazis but had a tight connection to the French resistance group Morhange and its founder, Marcel Taillandier. Arthur and Taillandier formed an improbable bond as the resistance leader arranged for Arthur's transfers among safe houses in southern France, shielding him from the Gestapo. Based on recently declassified material, exclusive personal interviews, and extensive research into the French Resistance, The Lost Airman tells the tense and riveting story of Arthur's trying months in Toulouse - masquerading as a deaf mute and working with a downed British pilot to evade the Nazis - and of his hair-raising journey to freedom involving a perilous trek over the Pyrenees and a voyage aboard a fishing boat with U-boats lurking below and Luftwaffe fighters looming above. This is a never-before-told true story of endurance, perseverance, and escape during World War II. This book held me captive from start to finish. The narrator is good, steady pace and great feeling. I really appreciated the fact that the narrator kept his volume the same throughout the book. Many narrators vary their volume so much that I miss all the quiet sections. The story is an amazing one, that is well written and just enough detail. This part of WW2 is not often seen: That of a downed airman's view of the French Resistance. Wow--The French Come Out Looking Good! 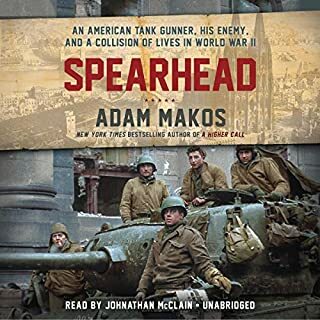 Sorry, rude review title, but I've got a lot (I mean A LOT) of audiobooks on WWII and, especially if you've listened to those concerning Dunkirk and the period thereabouts, it's easy to sometimes forget that there were French not only devoted enough to fight bravely, but to die and sacrifice for others with the utmost of courage. In The Lost Airmen, you'll meet those very people, the regular people, the Resistance. Seth Meyerowitz is moved to travel over ground his grandfather traversed, a story he's only heard secondhand as his grandfather died ten years before his birth, and this book is the result. While some of it does read rather dryly, hence less than a 5-star rating, for the most part it's fairly exciting. After all, the place is crawling with Nazis and Arthur Meyerowitz's journey is a long and arduous one. There's the covert; there's the hiding in plain sight (which rather struck me as a dumb move, but it worked). Most of all, there are truly dedicated people. One reviewer couldn't stand the voice of Jonathan Todd Ross, but I didn't mind. Yes, he doesn't have one of your deeper toned voices, but the slightly higher pitch adds to excitement where it builds. So I dunno: Listen closely to the sample and see whether you can stand 9 1/2 hours of it? Worth the time, worth the credit. And I do so love war heroes! Where does The Lost Airman rank among all the audiobooks you’ve listened to so far? What other book might you compare The Lost Airman to and why? 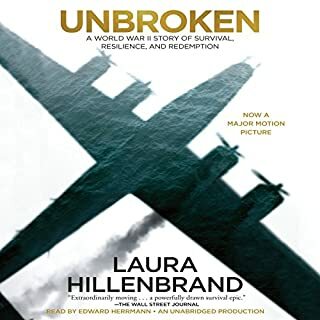 Shot Down by Steve Synder and Unbroken by Laura Hillenbrand. These books are similar, as they take place during WW2, but The Lost Airman is distinctive in its behind-the-scenes view of the French Resistance and their heart-breaking and admirable courage and sacrifice. Have you listened to any of Jonathan Todd Ross’s other performances before? How does this one compare? No, but an excellent narration. No. It's not a book you want to rush--but I always looked forward to getting back to it. A moving account of Arthur Meyerowitz and all those who helped him get back home. I finished it on July 3rd, and was humbled and grateful for the brave sacrifice of so many great souls to preserve freedom and human dignity. The Lost Airman should be required reading in high schools. 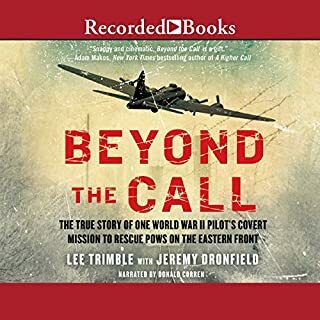 What a great recount of the actions of the bravest of men and women, a well crafted and excellently researched telling of the action of bomber crew and the French resistance during 1943/44. History well recorded and not to be forgotten, the author is a credit to his late brave Grandfather and the beyond brave members of the resistance organizations of WWll, well done and thank you. A very interesting story about many brave people! The people that helped WWII airmen were unbelievably selfless and heroic! An amazing and true story. Loved it! 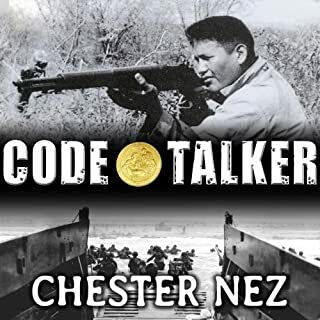 This is a fascinating and true tale of World War 2 survival. Arthur Meyerowitz is a fighter shot down over Germany in 1944. This is the gripping story of his six month escape from Nazi Germany. 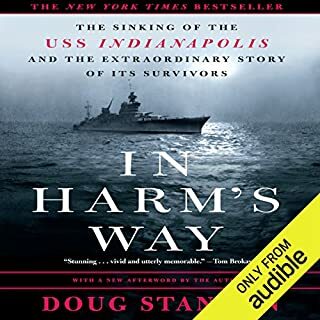 This is one of the best WW2 escape stories I have read or listened to. It is a tale of incredible smarts and courage, both Meyerowitz's and that of so many heroes from the French Resistance. This fascinating story pulled at my heartstrings in a way that few books have done. This book is well written and well read. My favorite book in a long time. Regardless of any opinion of this book, the true story of Arthur Meyerowitz is breathtaking, awe inspiring. There are not enough adjectives. He endured/survived through an incredible era of history. That said, the execution is lacking. Although incredible, the story is dry. Sorry to say, it is terribly trite. Arthur is in an airplane over France, crashes, buries his parachute, is sheltered by the French Resistance, and makes his way to freedom. The same circumstance has been told in movies, books, etc., many times. There is no surprise, predictable with any knowledge of WWII history. The narrator is monotone. The Meyerowitz family should be very proud, a wonderful story. A mediocre book, worth reading for the story itself, not the writing, not the narration. 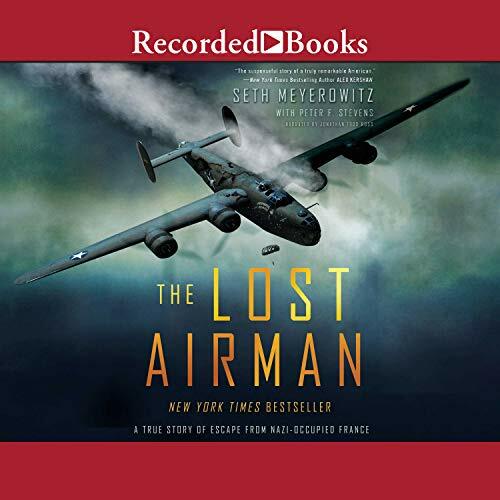 The Lost Airman is co-written with Peter F. Stevens, 9.5 hours of listening in unabridged format, a 2016 release byRecorded Books. I agree with the reviewer who compared this true story to the likes of The Great Escape and Unbroken. It just cries out to be made into a film. 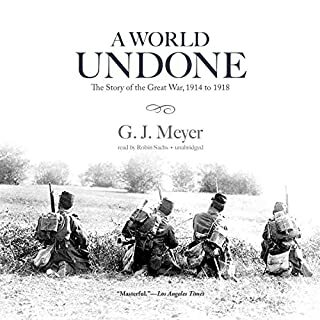 Written by the grandson of the book's subject, this is a story that could not be told until the debriefing of Arthur Meyerowitz was finally declassified. His crash behind enemy lines and subsequent life in hiding as a Jew in occupied France (by the grace of unforgettable heroes of the French Resistance) is edge of the seat stuff. And good news!! It seems that a film starring Jake Gyllenhall is in development. Excellent read. Great book even if you're not a history fan. I read this book not knowing what to expect, as I'm not a huge history buff. However the story is captivating and they could not put it down. The more amazing part is that the story is true! I give Seth a lot of credit for uncovering the story and giving Arthur Meyerowitz the voice he deserves.